Facebook extended its impressive winning streak. The social media behemoth demolished quarterly revenue and profit expectations, as daily users hit 1.1 billion and its dominance of mobile advertising grew. Earnings nearly tripled, even as spending on R&D increased sharply. 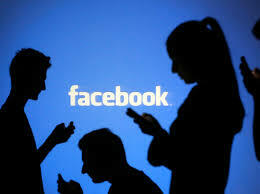 Facebook now has 1.71 billion monthly users, up from 1.65 billion in the prior quarter. Analysts had estimated 1.69 billion. Daily users rose to 1.13 billion.The company now makes 84 percent of its advertising revenue from mobile. Facebook shares rose 5 percent in extended trading. The company had gained 1.8 percent to $123.34 at the close in New York, and has climbed 18 percent so far this year. The constant stream of revenue also allows Chief Executive Officer Mark Zuckerberg to ramp up his investment in more futuristic initiatives, such as virtual reality and connecting the world to the Internet — steps that are unlikely to bring in profit for many years.